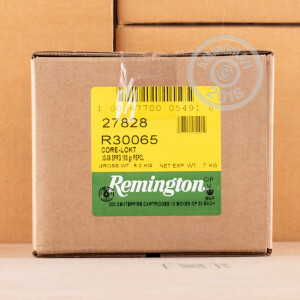 These rifle cartridges from Remington deliver all the long-range power and accuracy that shooters of the 30-06 Springfield expect, along with the deadly terminal performance of the Core-Lokt hunting bullet. 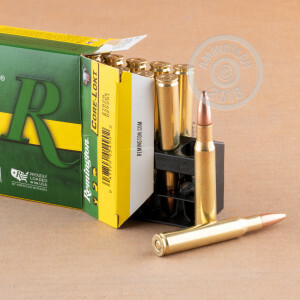 Each cartridge in this case of 200 fires a 180 grain Core-Lokt pointed soft point bullet with a mechanically locked copper jacket. This design produces excellent weight retention, expansion, and killing power against deer without damaging too much edible meat. 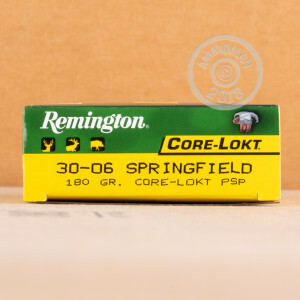 Order this case or any other items totaling $99 or more today at AmmoMan.com to get free shipping!